LIMITED TO STOCK ON HAND. RESTRICTIONS APPLY. UP TO $250 VALUE. EXCLUDES MICHELIN & BFGOODRICH. MUST PURCHASE TIRE INSTALLATION PACKAGE, WHICH INCLUDES BALANCING AND LIFE OF TIRE SERVICE AGREEMENT (FREE REPLACEMENT, ROAD HAZARD WARRANTY, LIFETIME BALANCE, LIFETIME FLAT REPAIR). SEE STORE FOR COMPLETE DETAILS. OFFER MAY NOT BE COMBINED WITH OTHER DISCOUNTS. NO DEALER OR CARRYOUT. OFFER ENDS 4/28/19. 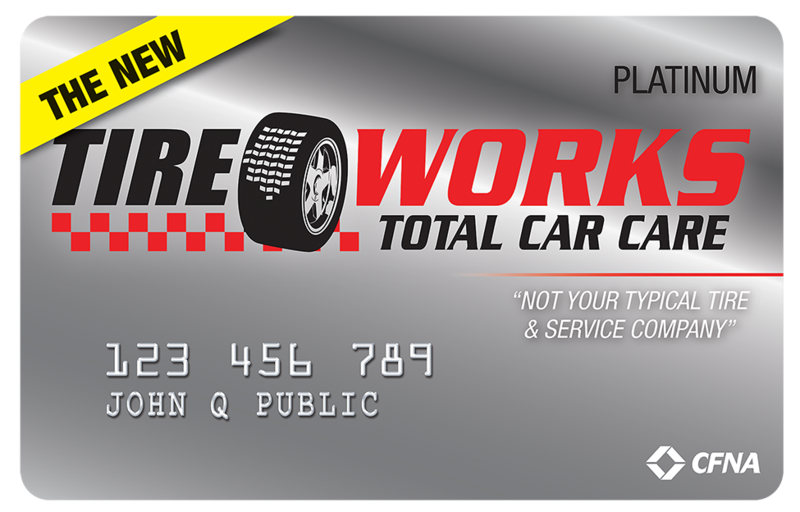 © 2019 Tire Works - Total Car Care. All Rights Reserved.